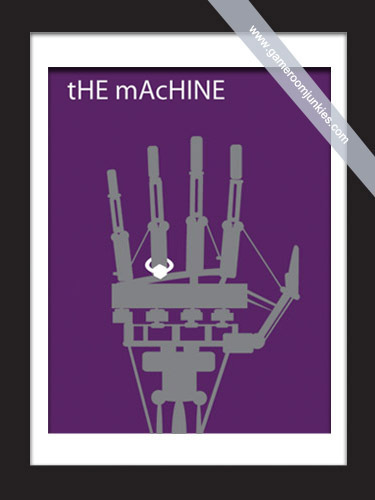 Per request from Patrick and others, today’s minimalist poster is Bride of Pinbot. Minimal in every sense of the word, The Machine uses only 3 colors, shapes only, and limited imagery. The classic Williams’ game Bride of Pinbot is my favorite design so far.